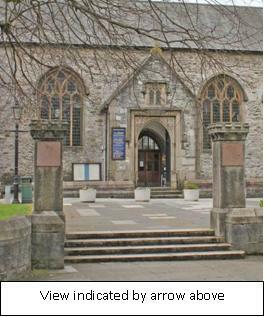 The Minster Church of St Andrew is located in the St Peters & Waterfront ward of the City of Plymouth and is the parish church of the Sutton parish of the Diocese of Exeter. 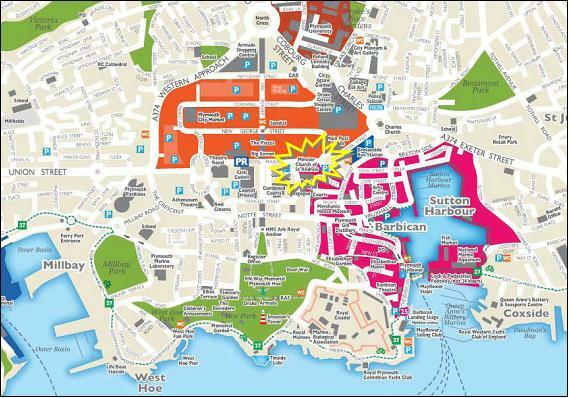 The Pillars stand on the boundary of the public open space in front of the minster. 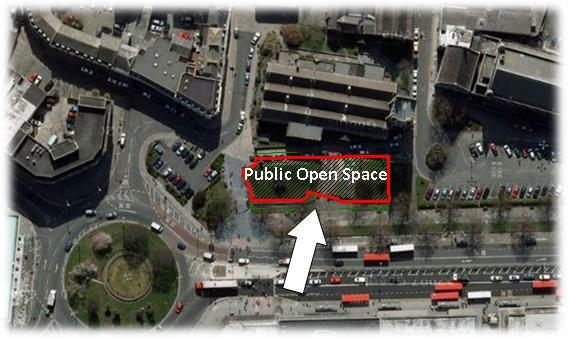 The public open space, in front of the church building, is the chief interface between our bustling City Centre and the church building. 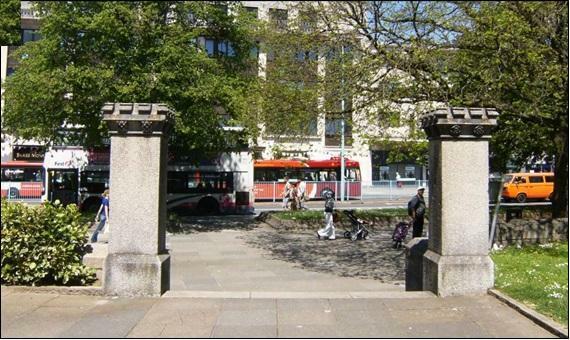 The steps between the pillars provide the principal pedestrian access to the paved forecourt from Royal Parade, the major thoroughfare and transport hub in the centre of Plymouth. 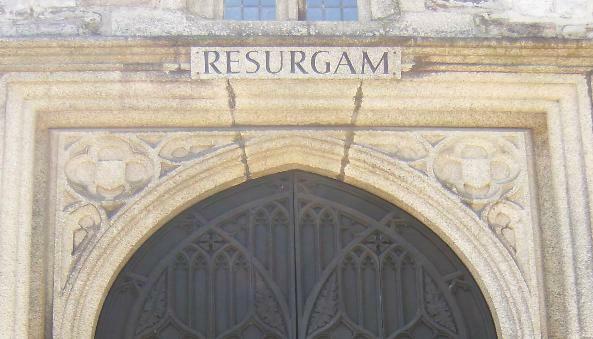 The forecourt is in front of the North entrance door to the church building and above this door is the “Resurgam” plaque. 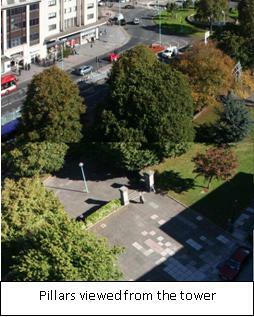 On either side of the forecourt are grassed areas with trees and memorial plaques.